There was a time, not that long ago, when copy and paste functionality was still a headlining feature on a smartphone. You were lucky to have a phone with a functional clipboard, and were even luckier if it worked worth a damn. Now it's just understood that phones will be able to copy and paste, but some things never change—it still doesn't work very well. Android relies mostly on full-screen apps, so moving text from one place to another can be extremely tedious. At least the open and modular nature of Google's platform provides you with some cool third-party options. All it takes is a few apps to power up your Android clipboard so you can be more productive than ever before. Native Clipboard makes a full history of your clippings accessible and easy to manage,and it doesn't take up any space in the UI until you need it. Most Android phones only store a single item in the clipboard, but Native Clipboard can keep everything, and gives you tools to easily manage it all. After you get Native Clipboard set up, simply double-tap in any text field and the clipboard manager appears on top of your keyboard. Each card contains a different copied item, which can be pasted with a tap. Long-pressing on a card in Native Clipboard is how you get down to really managing your clips. From here, you can see a full preview of the text and pin it to the top of the list if it's something you think you'll need often. You can also share, edit, or delete it. On the main Native Clipboard interface there's a "clear all" button, but it won't get rid of your pinned items. Can't remember how long ago you copied something important? There's a search button too. You can even manually insert new items into the clipboard history like an impromptu note taking app. 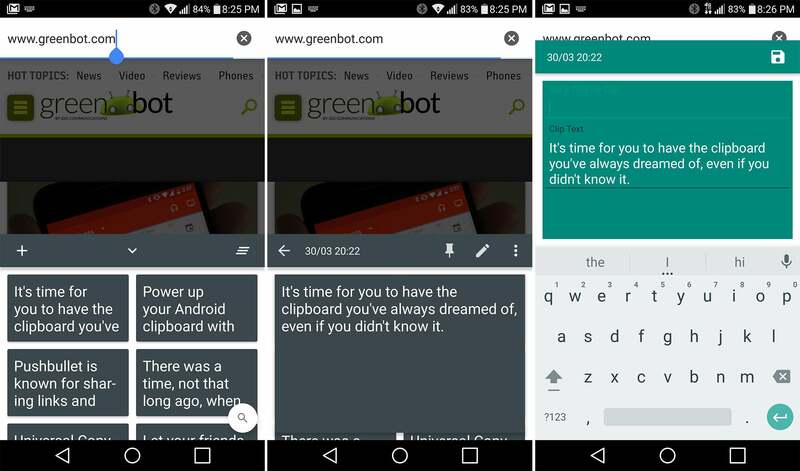 All Android users can enable Native Clipboard as an accessibility service in settings (for the double-tap), but Xposed users can actually integrate it with the system-level copy dialog. You need Android 5.0 or higher for full functionality, but Native Clipboard is completely free. Need to copy that text, but find that it's not editable? Universal Copy can grab those words. 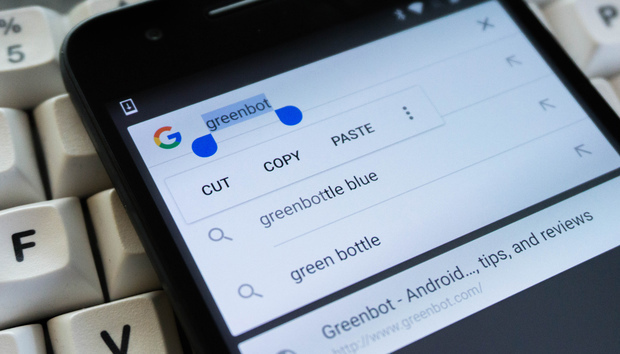 Android has included basic copy and paste functionality since time immemorial, but it's improved over the years. One remaining pain point to this day is that much of the text on your device can't actually be copied. 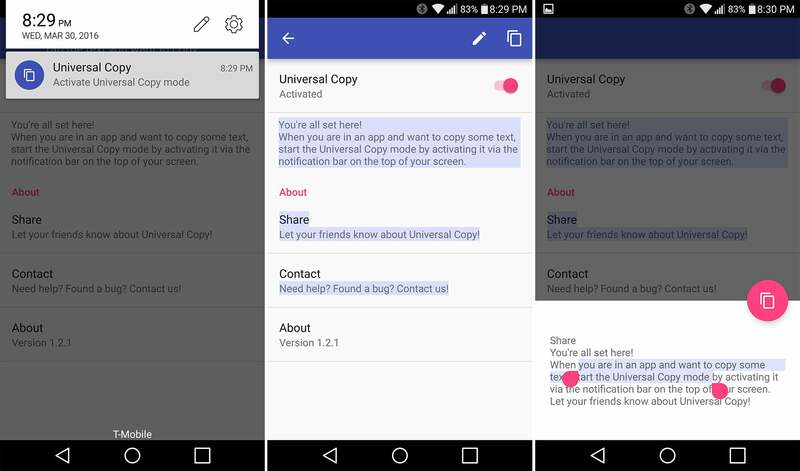 Apps like Facebook, Instagram, and many others have only static text, but Universal Copy fixes that. Virtually any block of text can be dropped into the clipboard with this app. To use Universal Copy, you need to enable it as an accessibility service, then flip the toggle in the app. When it's on, you have a persistent notification that, when tapped, enables all the text on your screen to be copied. Simply tap the blocks of text you want to copy—unfortunately, you don't have any finer control than that. When you've got everything you need, you can either tap the copy button at the top or launch edit mode with the pencil button. Edit mode lets you clean up the text you copied in case you don't want entire blocks. It produces a small editing interface at the bottom of the screen with selection handles to grab just a portion of what you originally selected. This app is completely free too. Pushbullet is known for sharing links and notifications between your phone and PC, but has awesome clipboard powers, too. 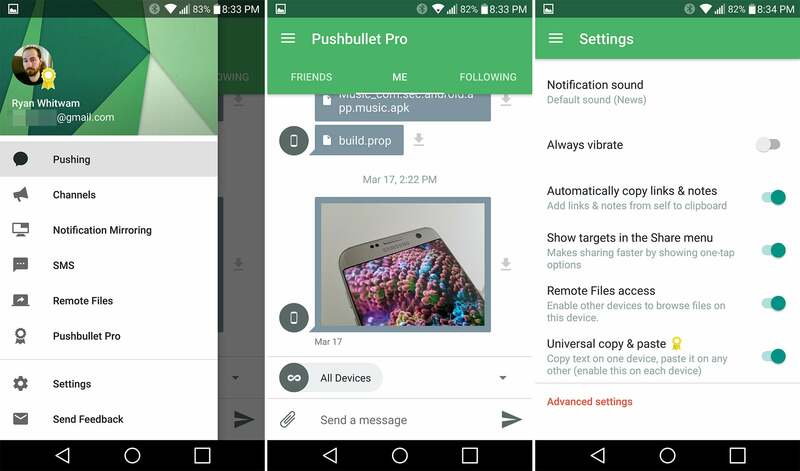 You've probably heard of Pushbullet—it's that awesome omnibus sharing and notification management tool. What you may not know is that Pushbullet has some awesome clipboard features that you can activate with a quick trip to the settings. The first toggle you're looking for is called "Automatically copy links and notes." The name probably tells you everything you need to know. Whenever a new bit of text is pushed to the device, it will automatically hit your clipboard so you can paste it instantly. It's just a minor tweak, but super useful. In that same menu is another fantastic feature: universal copy and paste. Flip the switch and your devices will automatically sync clipboard contents over the internet. You can copy on your phone, then immediately paste on your tablet like magic. If you have the Windows app on your PC, it will sync too. It happens almost instantly and really saves time. Unfortunately, universal copy and paste is a premium feature, so you'll have to subscribe to Pushbullet Pro for a few buck per month. That also includes desktop notification mirroring, larger file sharing, and more. Go straight from copying to something useful with Clipboard Actions. As the name implies, Clipboard Actions makes it easy to take action on the things you copy. If you want to get a shortened URL, pull up a map, or generate a QR code, I'm not aware of any faster way than this app. It doesn't even require any tedious setup or configuration after installation. Just copy, then check your notification shade for quick actions. The copied text will be at the top of the notification with a delete button if you decide you don't want it in the clipboard anymore. There are also arrows so you can browse through recent clipboard items. Below that are a few smart suggested actions like placing a call for a copied phone number or generating a shortened URL for web addresses. Below that are more generic options for searching, sharing, generating a QR code, loading in Maps, and translating. The notification isn't persistent, thankfully. It only shows up when you copy a new item, then you can dismiss it. If you want to retrieve something, you can open the Clipboard Actions app and reload any recent item back into your clipboard, complete with the handy notification. Clipboard Actions is free, and works on any device running KitKat (Android 4.4) or higher. Are humans the final solution in the face of AI onslaught? Is EMEA suffering from 'security fatigue'?